Imagine spending a week with Jesus - following him on his journeys, listening in on his conversations, observing his actions and reactions. Well ... imagine no longer! In the good and the bad, in the exciting and the mundane, we are called to worship God. But, what does that look like in our everyday lives? We invite you to join us for our annual Fall Conference! 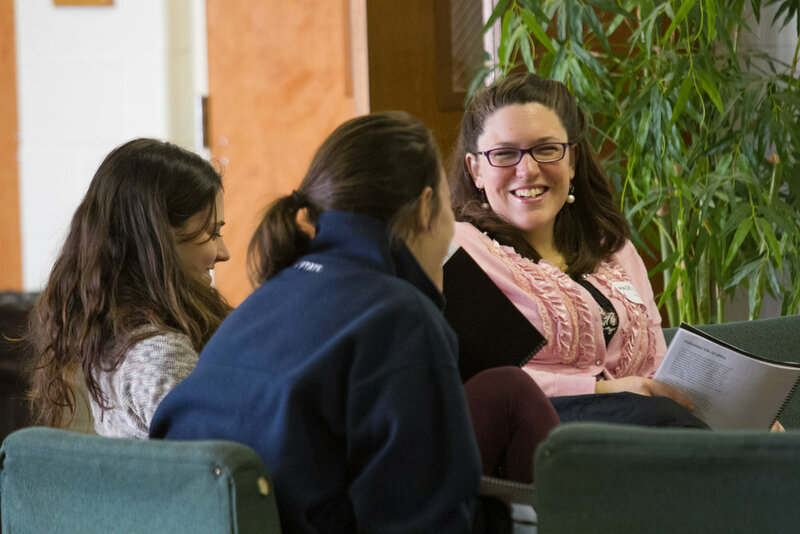 The Alumni Conference combines part of our larger student conference with a slate of sessions tailored specifically to alumni and other friends of DiscipleMakers. Join us for a weekend to explore what many have called the greatest chapter in the Bible—Romans 8. We will explore the depths of our sin and glory in the wonder of redemption. We will consider our response to grace, and find transforming hope for the present and the future. FOCUS IS ALREADY UNDERWAY AND REGISTRATION IS CLOSED. 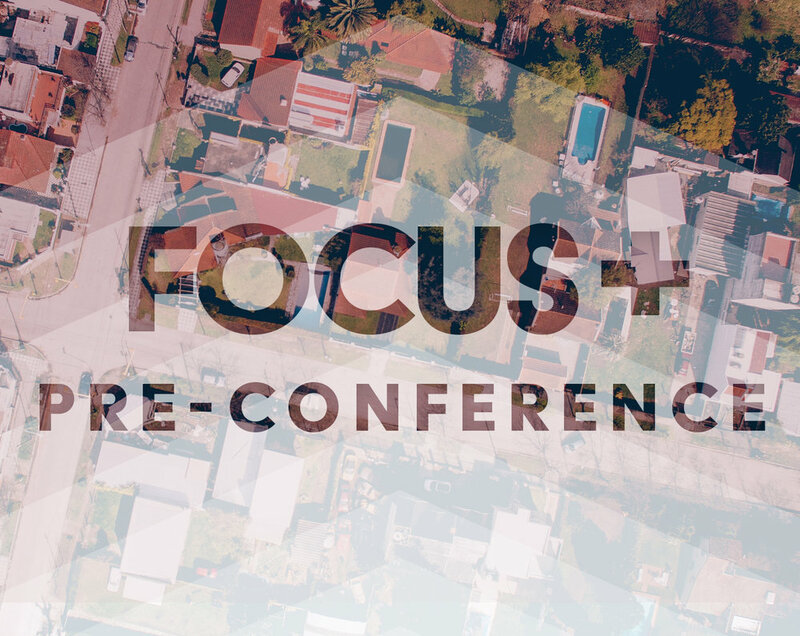 Focus+ is a special limited-registration add-on event for students who want to dive into a specially selected text. This year the teaching will present an overview of the book of Revelation. Focus+ is kept purposefully small; only 25 spots are available, so don't delay in registering if you'd like to attend. This year Focus+ will take place between the two main Focus weeks. It will start at 4pm on Friday, May 11th and will conclude at 11am on Sunday, May 13th. Cost is $75. When you register, you will receive an email containing important information about Focus 2018. If you do not receive this email, please email registrar@dm.org as soon as possible so we can get it to you! The cost of the conference is $249. This covers materials, housing and meals (Sunday dinner through Friday lunch). If sending payment by mail, please make checks out to DiscipleMakers and write either “Focus Week 1" or “Focus Week 2" in the memo line. Please send payment before the registration deadline (Friday, April 27th for Week 1 and Friday, May 4th for Week 2). Mail your payment to: DiscipleMakers, 365 Science Park Rd, State College, PA 16803. You will not be refunded your initial payment, but you will not have to pay any remaining balance. You will not be refunded your initial payment, and you will be responsible for paying any remaining balance. 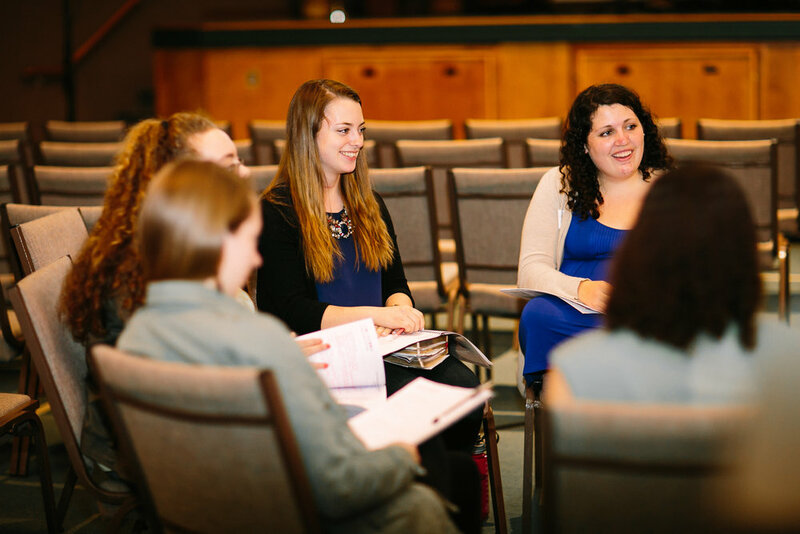 Come join women just like you from colleges across Pennsylvania to hear how we can be joyful, be thankful, and be united at the DiscipleMakers annual Women’s Conference. If you can relate to either (or both) of these statements, this workshop is for you! This workshop will help you understand why comparisons are sinful, how comparisons damage our relationship with the Lord and others, and how the gospel helps us overcome even the most deep rooted comparisons we struggle with. Mothers have a profound and lasting impact on their children. In our culture, motherhood is devalued, children have become dispensable and counselors are working with the damaging consequences. This workshop will contrast this tragedy with God's beautiful vision and purpose for motherhood and his precious view of children. You will learn how the gift of motherhood actually teaches you about God himself, joins you with Christ in making disciples, and gives you the opportunity of having a historical and eternal impact. Because of Jesus, you can leave a profound legacy, even if you don't have physical children. “You can’t have your cake and eat it, too,” says the old adage. Many people feel this way about obedience and happiness—you either obey God’s law (and feel miserable), or you pursue personal happiness (and feel guilty). But must these two things—joy and law—be at odds? Do you really only get to pick one? The Bible actually says the opposite! True and lasting joy can only be found in our obedience to Christ. Join us as we discover the heart of God and the goal of His law—your joy depends on it! We live in a world of diverse people. Understanding is hard and true unity is even harder. What hope do we have for bridging our differences? Join us as we look at what Scripture has to say about loving people who are different than us. Anger is easy to see in other people. We’ve been hurt by it. But what about your own anger? What does it look like? Do you know how to recognize it? Is anger part of your personality that feels impossible to change? Let’s face it, anger has power to destroy unity. It cannot be ignored. But by God’s grace, there is a power at work that is greater than anger. Let’s confront our anger and hold fast to the One who has the power to change us. For His glory, for our good, and for the sake of unity. So many of us come to college with the hope of finding the one. What do we do if that doesn’t happen? Or if we think we’ve found him, but it doesn’t work out? Are we doomed to a life of singleness? Can singleness even be a good thing? When you register, you should receive an email containing important information about the Women's Conference. If you do not receive this email, please email registrar@dm.org as soon as possible so we can get it to you! The cost of the conference is $125. by paying when you arrive at the conference. ALUMNI BANQUET - Registration is still open! Was DiscipleMakers an integral part of your growth in Christ as a student? Would you like to learn more about how God is continuing His life-changing work on more campuses than ever before? Please join us for dinner on Saturday night, the 21st of October, for an alumni-only event in which we'll pull back the curtain on what's happening in the ministry and how you can help. Even if you can’t attend the full weekend, we’d love to have you join us for dinner and the main conference session to follow. If you would like to attend this special event only then the cost is $45 per person. If you are attending the entire conference then the cost has already been included in your registration fee. 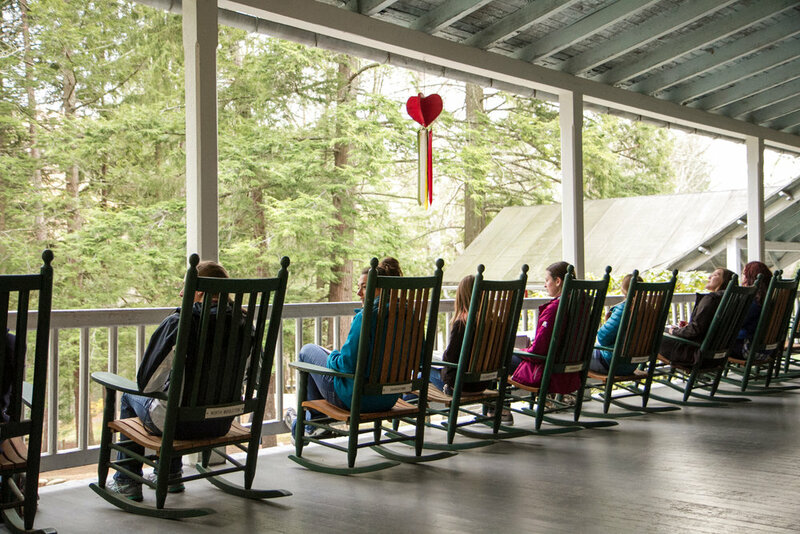 Join Us for a Weekend You Won't Forget! DiscipleMakers' annual Fall Conference is the perfect place to take the next step in your walk with Jesus. There is something for everyone, whether you are checking out Christianity for the first time, have been a Christian for many years, or are an alum of our ministry. We'll spend 5 sessions all together, worshiping the Lord and learning about the week of Jesus' death and resurrection. In addition, on Saturday you'll be able to choose from 16 different breakout sessions on a variety of topics, and engage with missions agencies working around the world through our Missions Fair. So join us for this year's conference, and a weekend that you won't forget! During our main sessions we'll learn about the week of Jesus' death and resurrection through teaching from the Gospel of John. Environmentalism—A Gospel Issue or Liberal Agenda? When you register, you will receive an email containing important information about the Fall Conference. If you do not receive this email, please email registrar@dm.org as soon as possible so we can get it to you! The cost of the conference for students in a quad is $199 & in a triple is $229. A Bible! If you don't have a Bible, we will provide one for you at the conference. Please plan to arrive at the Harrisburg Hilton by 6:30pm for check in and unpacking. Once you've parked in the Walnut Street Garage, proceed to the elevator and press the button marked “LEVEL A." This will take you directly to the Hilton. When the doors open you should see some friendly DiscipleMakers staff telling you where to go! Registration will be located just outside the main ballroom on the second floor. Please check in and pick up your conference materials, which will inform you of your housing details and other important information. The cost is $299, and you can find all other registration details above. Have any questions about the conference or your registration? Email registrar@dm.org or call the DiscipleMakers Headquarters at (814) 234-7975. Sometimes, life doesn’t turn out like we hope. Our plans fall through, the people around us don’t seem to understand, and worst of all, God seems to be distant as our hopes don’t come to fruition. So, what do we do when the only choice seems to be to accept defeat? At this year’s Women’s Conference we will read the biblical story of Ruth, in which two women must find new hope for life after losing nearly everything they loved. Join us as we read about the responses they chose, how God worked out their stories, and how to find the hope we need for our own lives. We're sorry, registration is closed. If you'd still like to come, you can sign up on our wait list and we'll contact you if we have cancellations or openings. The cost of the conference is $135. Already have the app from Fall Conference? Just log in and select Women's Conference! A Bible, notebook, and bedding. We will be studying the Bible throughout the conference, and you'll want to take notes! If you don't have a Bible, we will provide one for you at the conference. Please plan to arrive at Doubling Gap by 6:00pm for check in and unpacking.